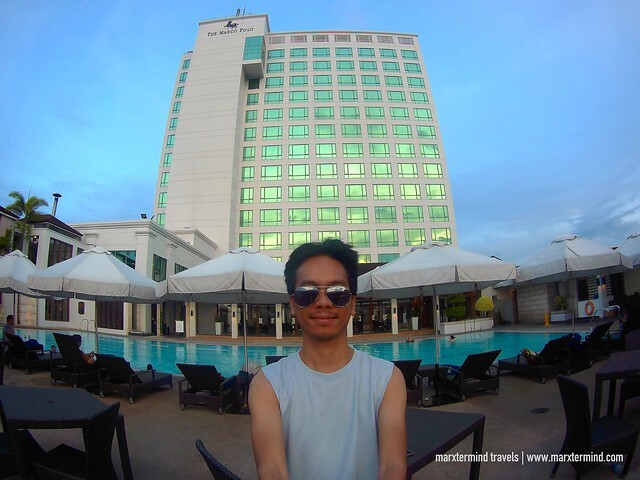 I was excited to visit Davao City for the third time because of Marco Polo Davao. It was my first time staying in a Marco Polo hotel. It also happened to be my birthday weekend so it was extra special for me. My friends and I planned this almost a year to celebrate and all but sad to say, some were not able to join. But that was okay. I was still with my friends, Elal and Chino who accompanied me throughout the weekend. We went to Davao with no concrete itinerary. 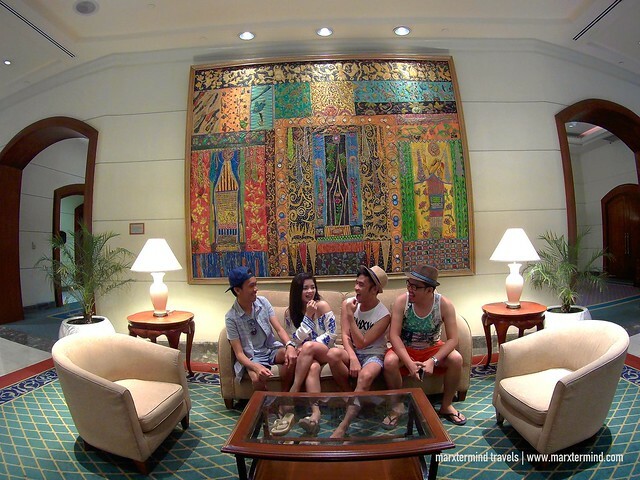 But since all of us were not first timers in Davao, it was fine for us if we just spend most of our time in the hotel. And it’s a 5-star hotel, I’m pretty sure we will have a great time. And indeed, we had. We arrived early morning in Davao. Staff of Marco Polo welcomed us at the airport. A shuttle service was provided to us to get to the hotel. It was a 20-minute drive. When we arrived, we went to the front desk right away and presented our identifications for check in. Some of the rooms reserved for our group wasn’t ready yet so we stayed in one of our friends’ room first and there we waited until all the rooms became ready in the afternoon. 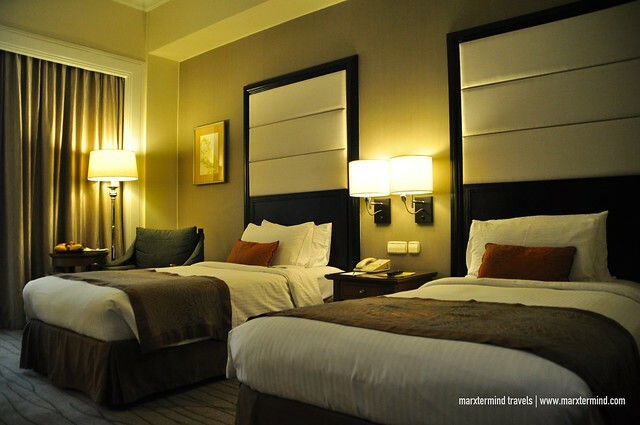 Marco Polo Davao offers several types of accommodation. They have rooms, suites and continental club type. Check room rates and availability here. My roommate was Chino. We stayed in a Deluxe Room. It has twin beds and has air-conditioning. The room is well appointed with excellent in-room amenities such as flat screen TV, coffee and tea facilities, executive desk, in-room safe and mini bar. 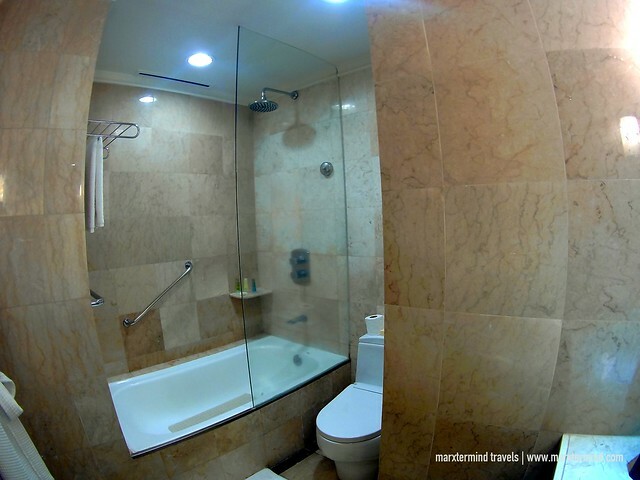 It also has a nice bathroom with a bathtub, which my friend enjoyed a lot. Our room has a classic ambiance. 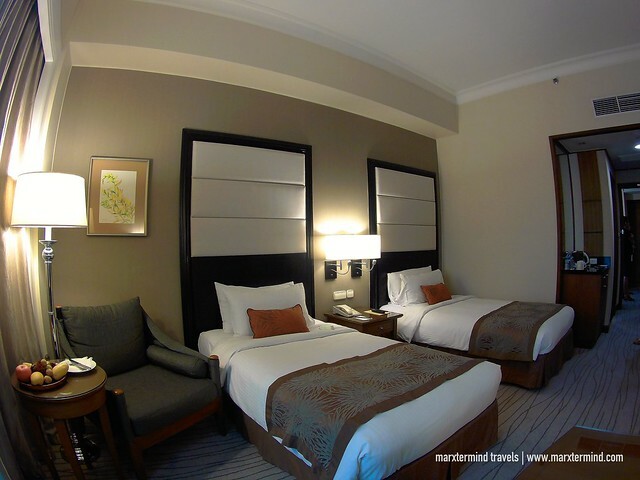 It has an elegant interior and all the features to like making our stay more relaxing. I appreciate the bottle of wine and platter of fruits served inside our room. That was a really nice gesture. I love the bed, which was comfy. If only my friends didn’t ask to go to a nearby beach, I’d probably just be staying inside our room. 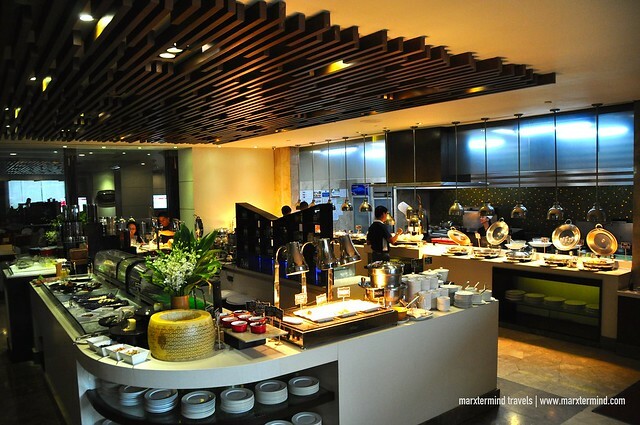 We also had the chance to experience some of the in-house restaurants of Marco Polo. We tried Polo Bistro for lunch and Café Marco for breakfast. 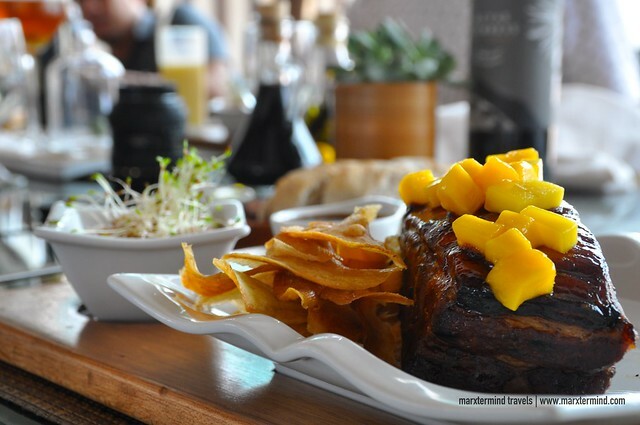 Polo Bistro serves intercontinental a la carte with signature dishes such as Grilled Blue Marlin, US Angus prime rib cut tenderloin steaks and Australian lamb cuts. We had our lunch here during the first day. Davao Kinilaw, Pomelo Salad, Roasted Tomato and Basil Soup, and Signature Baby Back Ribs were served to us. 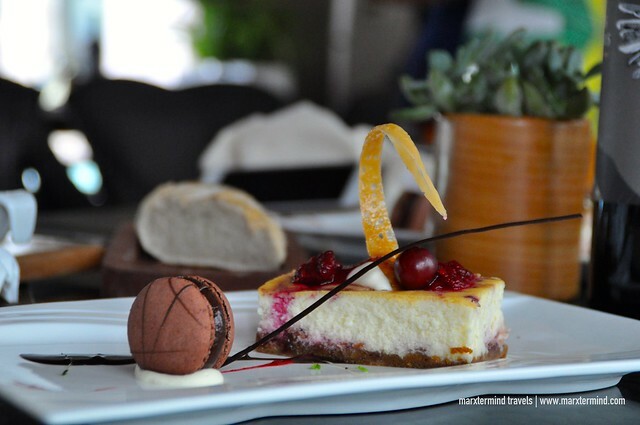 We also had a slice of raspberry cheesecake to end our sumptuous meal on a sweet note. I was so full. 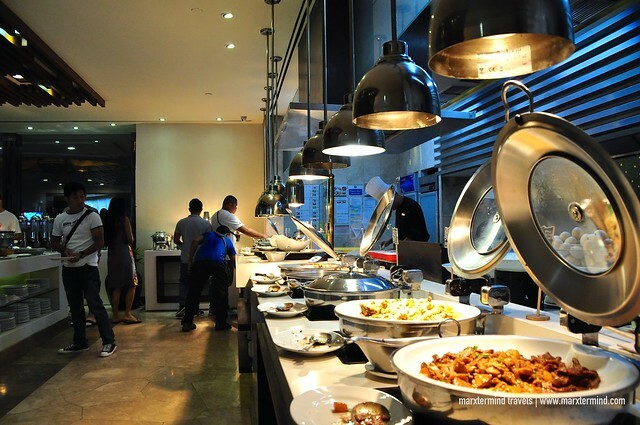 Café Marco has a vast menu of cuisines including Mediterranean and Filipino dishes. This is also where they serve the breakfast buffet. I’ve heard of nice things about breakfast at Marco Polo so I was really excited to experience the buffet spread. And it didn’t disappoint. The selection was huge consisting of local dishes and some breakfast favourites. There are stations for desserts, pastries, bread and beverages. I enjoyed the food most especially the Filipino dishes. 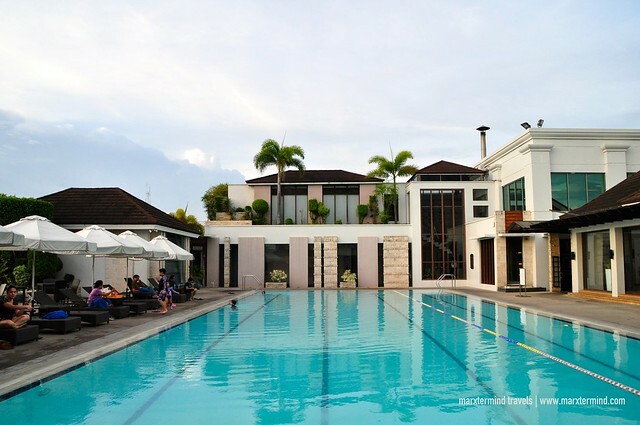 Marco Polo Davao also provides an array of facilities that made us enjoy our stay even more. Apart from the dining options, the hotel has a spa, kids club, outdoor pool, business services, fitness center and other recreational facilities. We were able to experience the outdoor pool Sunday afternoon. The hotel also provides complimentary Wi-Fi connection, which is accessible anywhere in the vicinity. 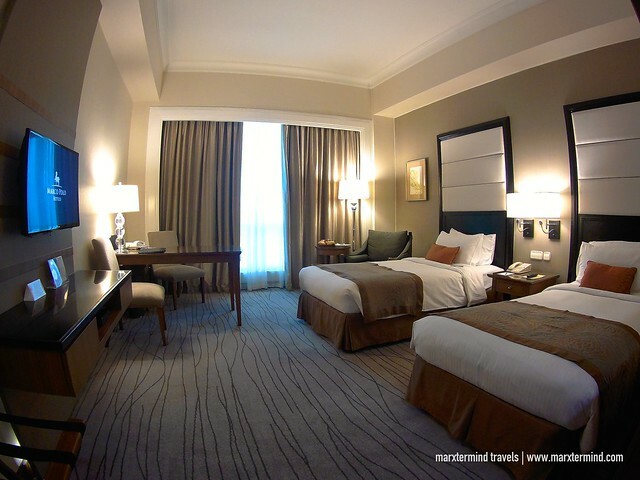 Staying at Marco Polo Davao provided us nothing but a comfortable and pleasant vacation. The cozy room, outstanding facilities, pleasant food and friendly services made our weekend stay at the hotel unforgettable.